Maybe I am just new to Disney secrets but learning about the single rider line changed our experience here! Instead of only getting to ride three rides this day, we got on at lest 6! Not every ride has this feature, but most do. There is a special lane called the â€˜Single Riderâ€™ lane where you can legit hop in the line and be on the ride within 15 minutes. Which is HUGE here because the average wait time per ride is over TWO HOURS. So Rashawn and I would line up in this line and anytime there is 1 extra seat someone from the single rider line hops on! 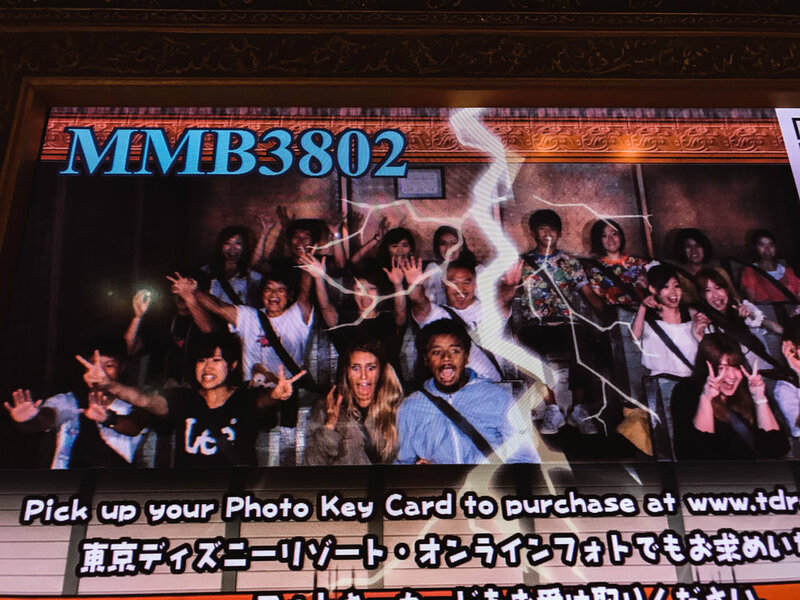 It worked out so well for us that on two of the rides, we were in the same cart only a few rows apart! Itâ€™s a little bummer not to be right next to your buddy, but how can you not be thankful to get any seat without having to wait?! So I cannot recommend trying this route enough! what are the best rides? After I found out about the wait time, I knew we were going to have to be extra strategic about which rides to go on! I started doing some research on the rides and ended up with a goal of 8 rides for us!! We did about 5 or 6 I think, which was more than enough for me :) Here are the rides I suggest: Tower of Terror (please not our faces above HAHA), Toy-story Mania, Aquatopia (also have a New finding Nemo Ride), Indian Jones (a classic), Raging Spirits ( we didnâ€™t make it on this one), Journey To The Center Of the Earth (best ride in the park), and if you have kids, check out the Jumping Jellyfish in the Little Mermaid world! 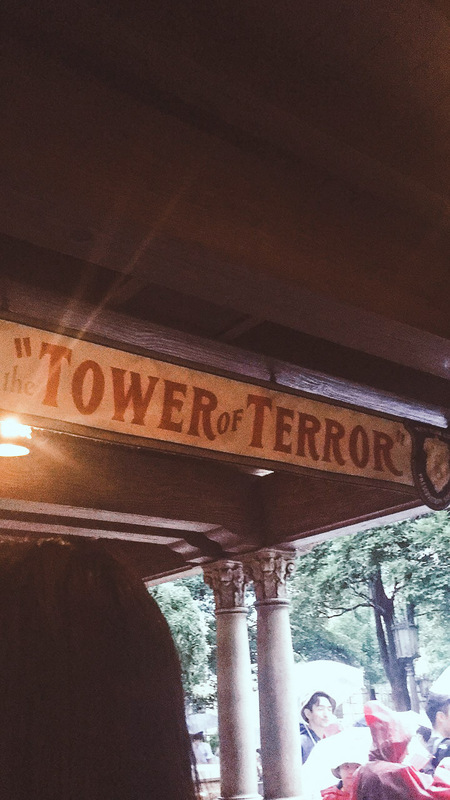 does each ride really have a wait time of two hours? Say it anint so! When I was doing my pre-travel research I stumbled upon a blog post that told me to prepare for 2 HOUR wait times at almost every ride. I did not want to believe itâ€¦ until I was experiencing it my self! Our first ride of the day, Journey To The Center Of The Earth, had 140 minuet wait time when we hopped in line ðŸ‘�ðŸ�¼ I will say with good company the lines move pretty fast :) but for the rest of the day we took advantage of the Single Rider and only waited for a few rides we knew we wanted to sit together on! There really is no way to avoid this due to the popularity of the Park. Unless you arrive VERY early for Fast Passes. Just like any of the Parks, Fast Passes are available here for free! At any participating ride, there will be a Fast Pass Kiosk in front. You simply enter your park ticket into the machine and a Fast Pass Ticket Will print off for you with a later time to return and ride. Only downside, by 10 am ALL fast passes were long gone. SO if you want to try and score some, make sure to arrive here at 8:00 am!! 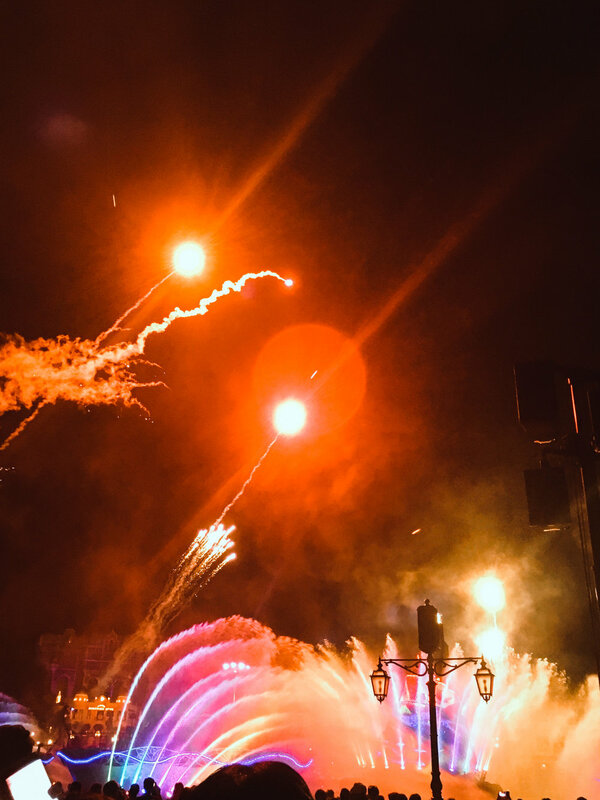 should i visit tokyo Disneyland or disney sea? Like all the parks - there are some major decisions to be made before you even walk through the gate! You must always first decide, how many days you will be spending at the park, and which park or parks should you visit! Based on your decisions, you can then purchase a ticket or package that works best for you. If you are a frugal traveler like us, then you probably will only be opting in for one day at the park as well! So now comes the hard part - Land or Sea? If you are from America then I have no problem telling you DISNEY SEA! This park is completely unique and full of some of the best rides in all of Disney. The Disney Land here is like the one in California, just with a few Japanese twists. So if you want to go classic feel free, but I was not going to pass up the unique park at Sea! If you read my new book How To Travel Young and Broke then you know how food is always are biggest expense. We knew it would be a pricey day at Disney - but it didnâ€™t have to be! Once inside the park we learned you can bring in ANY outside food or Drink! People were having massive Picnics, drinking beers, and not spending a billion dollars on water like us! The park even offers picnic areas for those who bring in their own goods. I highly suggest this because the meals here are so expensive - and not the best food in the world. My advance would be to pack some sandwiches and drinks and then opt in to try a sweet treat or some Popcorn here! Disney Sea is know for their famous popcorn, because they have flavors like Curry, Herb and Tomato, Carmel and sooo many more! One of the major items on my bucket list is getting to visit all of the Disney Parks! So far I have check off Disney World, Disney Land, and Now Tokyo Disney! After I at lest visit each park, I want to go back and do it ALL. 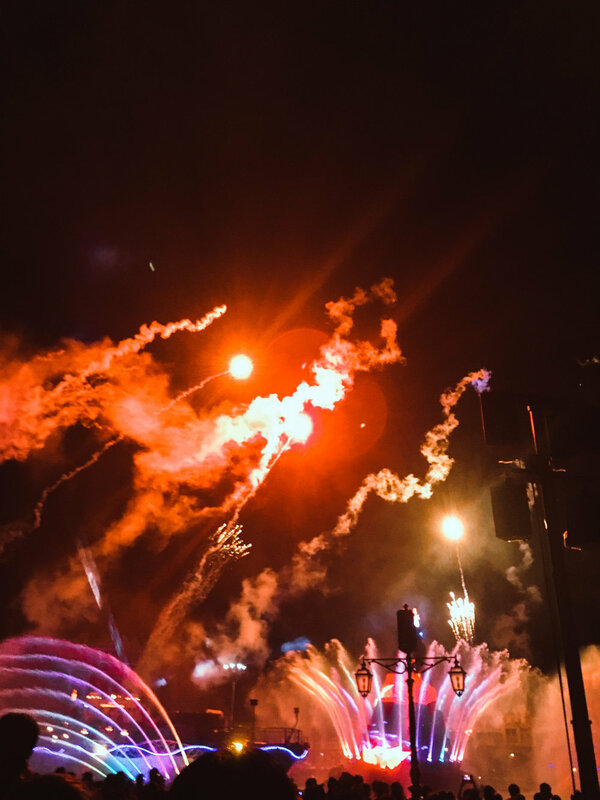 For instance, I have been to DisneyLand a few times, but never California Adventure - so I need to make it back there :) Is it on your bucket list to visit all the parks too? When researching â€˜Things to do in Osakaâ€™ the Osaka Castle kept popping up so I finally broke down and added it to our list. After all a little culture surly couldnâ€™t hurt us. It ended up being so beautiful and provided us an amazing overlook of the city of Osaka.